Uber is holding its ground two days after the California DMV ordered it to pull its self-driving vehicles off San Francisco streets. In a call with reporters Friday, Anthony Levandowski, vice president of Uber's Advanced Technologies Group, said that his Volvos are continuing to drive around the city. And he stuck to his argument that Uber's self-driving Volvos don't fit the California DMV's definition of autonomous vehicles. "It's hard to understand why the DMV would require self-driving Ubers to get permits when it accepts that Tesla autopilot technology does not need them," Levandowski said. He added that Uber has asked the DMV how its technology is different than Tesla's, but had not heard back. When Tesla's autopilot is activated, a driver can remove their hands from the wheel and their feet from the pedals. They're required to still keep their eyes on the road, and may need to retake control at any time. Uber's Volvos drive with two test drivers who monitor the autonomous vehicle in case they need to take control of it for safety's sake. Unlike Uber's cars, Tesla's (TSLA) autopilot is not designed to handle city driving. But eventually it should be able to, given the incremental way Tesla is developing its system through over-the-air updates. Friday the California attorney general's office sent a letter to Levandowski requesting that Uber immediately remove its self-driving vehicles from the road. The office said it would seek an injunction if Uber did not comply. Uber has received some support in its battle with the DMV. The Mayor of Beverly Hills wrote the agency Friday, requesting that it reconsider its demands of Uber. Uber's SUVs in San Francisco have been controversial since the company began giving passengers rides in them Wednesday. A self-driving Uber was also caught on video running a red light this week. Uber attributed the incident to human error. The San Francisco Bicycle Coalition said Thursday that Uber's vehicles are not yet ready for the city's streets. 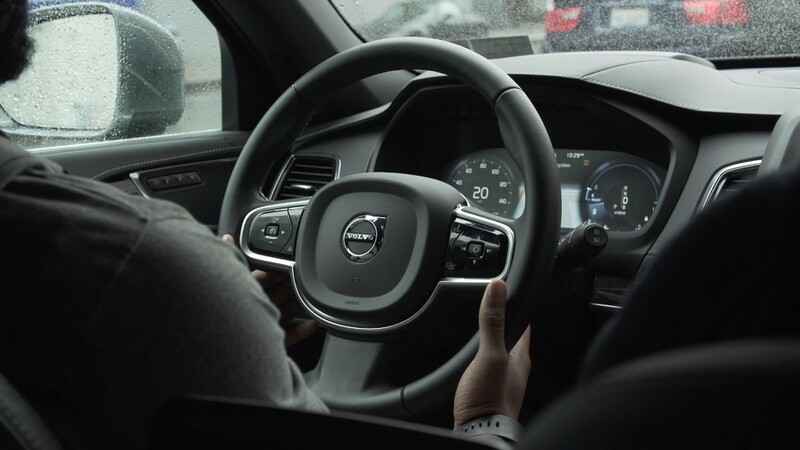 In a blog post, executive director Brian Wiedenmeier took issue with the way the self-driving Volvos turned across bike lanes. Rather than merging into the bike lane before making a right-hand turn, the SUVs were turning across the bike lane. The latter is considered more dangerous for cyclists and is illegal in the state. "Launching autonomous vehicle technology before it's regulated and safe for our streets is unacceptable," Wiedenmeier wrote.